We specialize in modern and simple weddings that reflect the style and personality of our couples. Our elopement, micro-style, and pop-up wedding packages provide a stress-free and intimate way to say "I do," allowing love birds to just show up. We keep to the truest sense of the word here; it’s all about you and your partner, and the intimate moment you become a married couple. Anywhere can be your “I do” spot. Invite up to 20 guests to your smaller, simpler, and shorter wedding. It’s an abbreviated celebration from ‘the tradition’, but a bit more involved than an elopement. 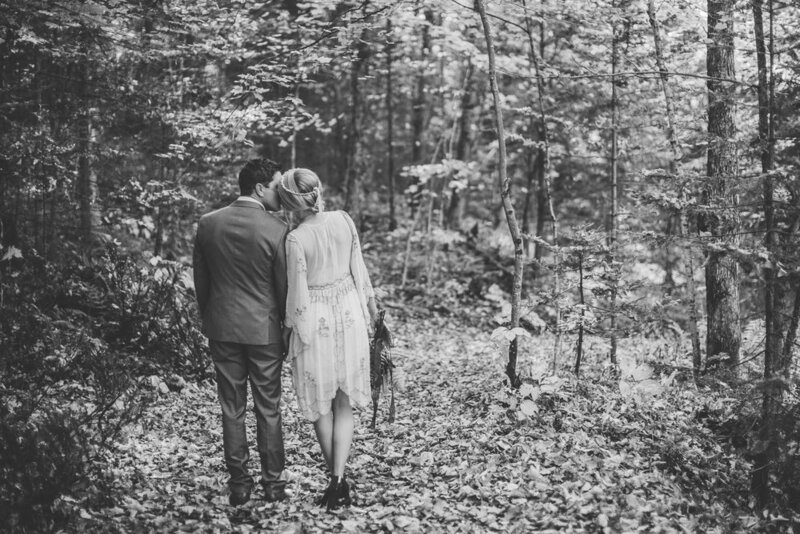 Choose from one of our venues in Muskoka, or ask us to come to you. You + a few, with a twist. Pre-planned & pre-booked, find out where we’re going to be next and book a time to get married at our ‘traveling wedding chapel’ with 20 of your nearest and dearest to witness. We’re only in one location for one day and 90-minute time slots are limited.